If your caseload is anything like mine, you need to have lots of resources to teach and maintain new skills, including vocabulary! 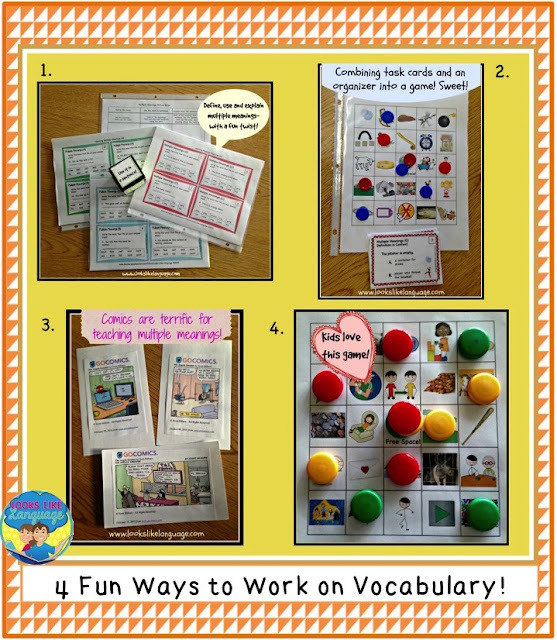 While I use picture task cards, games and activities to teach new vocabulary, I like to have other resources on hand for homework and reviewing skills throughout the year. I explain and expose my students to any new vocabulary we encounter in the course of discussions, stories and activities during the year to ensure comprehension, but I like to target specific, functional words for vocabulary goals. When choosing the vocabulary to target for students each year, there are some factors I usually consider. Preschool students always need to increase vocabulary in basic categories and seasonal events. For life skill students, I try to find out if there are themes being addressed by the special education teacher that year or if the students will have work programs related to specific job skills. For my older, low functioning students who are still being tested academically, I like to pick either of these: vocabulary that can be addressed all year long and applied to varied stories and academic work or specific vocabulary that relates to the other speech/language goals for the year. For example, vocabulary for reading comprehension, such as cause-effect, problem-solution, and fact-opinion usually ties in to both reading skills and language goals, making it easy to apply the vocabulary all year long. 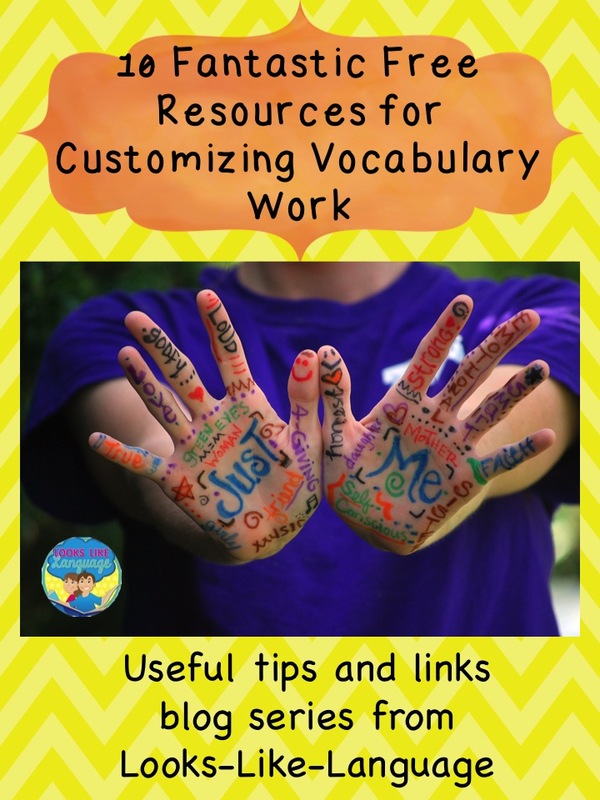 Because I target specific words, I especially like to find sites that let you customize your word lists, but I am providing some fun general vocabulary sites, too! There are so many good vocabulary resources available on line. Did I miss your favorite? Please share in the comments! I hope you find these resources useful! 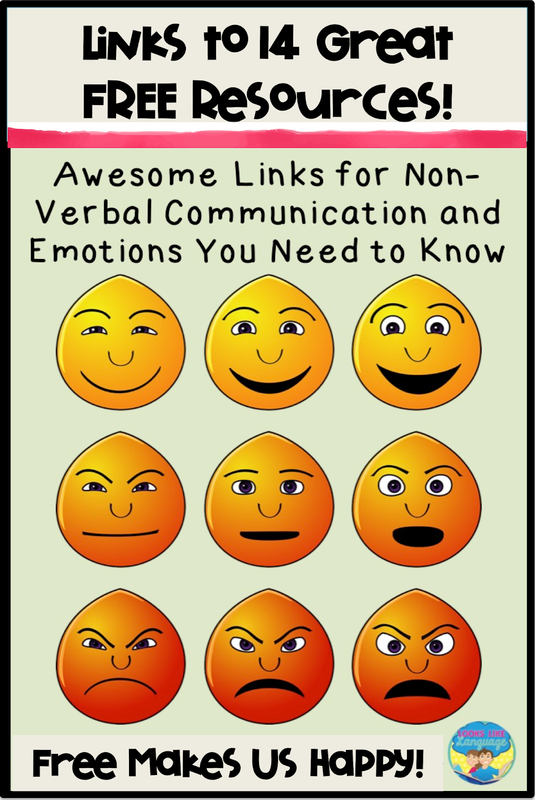 Need some help working on emotions and social skills with your students? My last posts shared some tips and some amazing links for free information to use with a slant toward older or more skilled students. For me, that happened to be my emotionally disturbed students, who lack the emotion vocabulary needed for interactions with their peers, especially in terms of conflicts and problem solving. This week is for sharing some of my favorite books and resources for younger or more limited students. In my case, this is my students who are on the autism spectrum. Unlike the students from last week, who initiate interactions with their peers, but then misinterpret social cues and get into conflicts, this week’s post is geared more towards students who have limited interactions with their peers or who interact without ever realizing that everyone else does not have the same interests that they do. Still start with emotion vocabulary. See the last post here if you’d like some great links for the vocabulary resources. Choose your vocabulary targets to expand their language ability for thinking about and expressing their feelings, with activities based on the students’ ages and cognitive skills, and keeping in mind what problems they are showing in their school interactions. Make sure they can use more than the 4 basic emotions and that they express degrees of emotion! After students can use the new words expressively and identify the basic emotion group, try using stories! 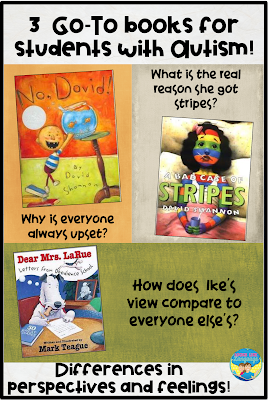 Using literacy activities is good practice, especially for a caseload of limited readers, and good stories provide a context for understanding emotions and situations in a way that vocabulary drills won't. Perhaps most important of all, applying the new vocabulary in discussion of story plots helps students to understand that people have different perspectives. What made the story character feel angry may make your student feel sad. No, David, NO! 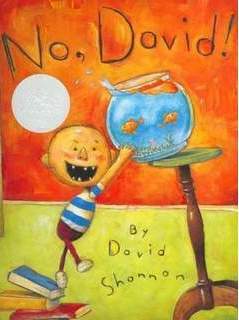 by David Shannon is an all time favorite for young children. David's antics are always getting him into trouble while he is just trying to have fun. The simple plot and pictures are great for eliciting sentences in a story retell while the situations lend themselves to discussing cause-effect and why mom does not see things the way that David does. 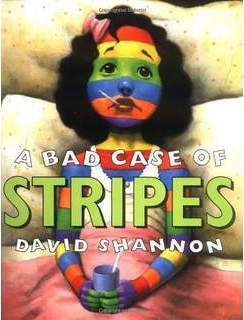 A Bad Case of Stripes, also by David Shannon, is another one of my go - to books. On the surface, the plot is seemingly a straight forward story abut a girl who has back to school nerves. The pictures in the books can engender a lot of discussion about facial expressions as Camilla develops a bad case of stripes after deciding to avoid her favorite food, lima beans. The underlying perspectives behind the plot about what motivated Camilla in her decision making were difficult for my upper elementary and lower middle school students to understand. Dear Mrs. LaRue, by Mark Teague, is another elementary level paperback that worked well for these grades. I have to admit that the first time I read it, I wasn't sure that a letter style book could keep my students interested, but I was proven wrong! 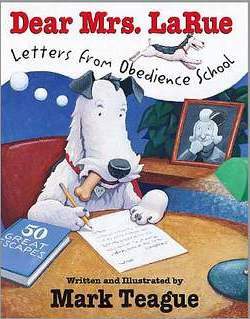 The illustrations in black and white versus color were of great interest, helping my students to compare the perspectives of Ike the dog to his owner, Mrs. LaRue. The vocabulary used and length of the letters were great for expanding the language and listening skills for the students in the group without social goals. Even better, there are so many free activities to be found online! The website has both a book list and teaching resource guides! This link has the names of books sorted by the emotion it teaches, especially useful for targeting specific vocabulary. 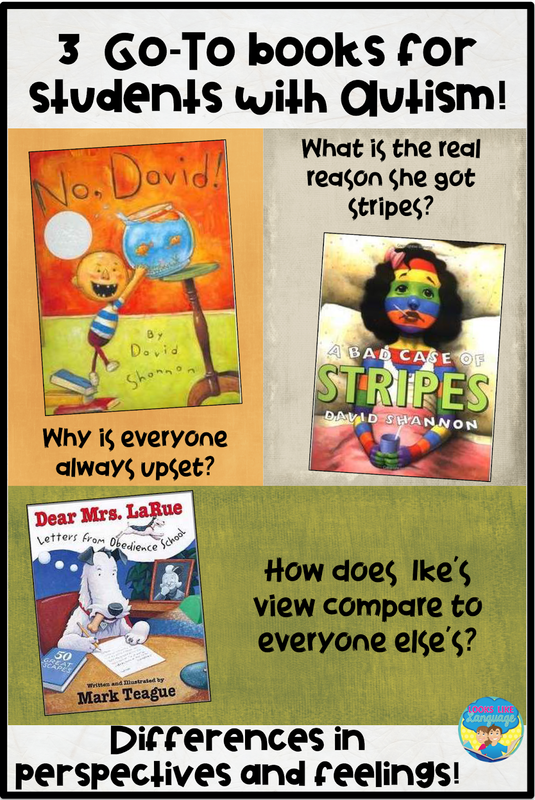 This PDF gives ideas for how to use books to teach about emotions. One of my favorite purchased resources for stories that directly teach emotion vocabulary is Focus on Feelings from Attainment Company. The stories feature older people, focus on specific vocabulary targets and review them in later stories, use real photos and are short enough to maintain my students attention! Do you have a favorite that I missed? If you have a student population who is, shall we say defiant, then you'd probably be happy to get the polite rejection of the student in the photo. After working with students who fit in the mainstream, switching to students with social/emotional disorders who need occasional hospital visits can be quite a change. Especially when they are middle schoolers, a trying time for all of us when we were there! I'm not making any claims about perfection, but I certainly learned a few helpful tips. 1. Give your students some control over the content or the activities they are being asked to learn. 2. This opens the door for practicing language for negotiating and compromising, as well. 3. Take care of your students' needs first. They probably have a lot going on in their heads that they have to work through, anyway, before they can begin to focus. 4. Make sure to build a connection with every student that you can, even if they aren't on your caseload. Next year, they might be! 5. Don't bother trying to find just that right materials that will excite them into learning. Your relationship with them may help them be able to start the learning process. 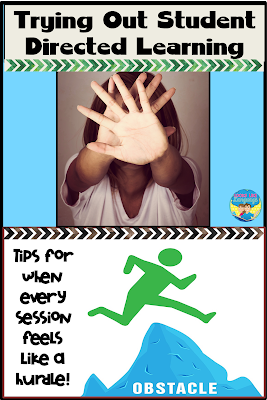 If every session feels like they are making you jump hurdles, then maybe try incorporating their speech/language goals into activities that allow them to reflect on the issues that are filling up their thoughts. How about vocabulary for identifying and expressing the intensity of the emotion they are experiencing at that moment? This blog article has a great Emotions Wheel with tons of words to choose from! Your students can do some hands on activities for learning the chosen vocabulary. * Make a personalized dictionary. * Play games with photos of different facial expressions or situations. * Find images to make a picture dictionary. * Look up synonyms using a great online student dictionary. Students who explode over every small incident need lots of varied vocabulary for angry emotions to be able to think about the severity of the problem. Explaining their reasoning for their answers helps them internalize the language and thinking skills for their own future use. Fortunately, there are resources out there to help you get started! This website has a wealth of information on problem solving, including problem solving steps, a video of this in action (with a lovely Aussie accent), scenarios and some downloads. This is an animated YouTube video about the steps to problem solving. The voice is a bit mechanical, but students may like the animation. This site has an easy to use chart for the size of the problem as well as videos with students. Check out the Problem Solving section of my store for more help! The longer I have worked with moderately-severely involved students, both those on the spectrum and those with emotional disabilities, the more I realize how important a role that weak social language/pragmatic skills play in their inability to function in a mainstream environment. While these skills are important for both disabilities, I have observed that the way that they impact my students differs. My emotionally disturbed students tend to flare up easily. They misunderstand idiomatic language and inferences their peers are making, misread body language cues, facial expressions and gestures, interpreting situations as more negative toward themselves than they may actually be. Another situation that occurs is that they are correct in reading the social situation as being negative, but then don’t have the language skills to work out compromises and negotiate solutions peaceably. They often understand the basic emotions but lack the nuances and vocabulary for sophisticated emotions to be able to regulate their emotions using language. For example, if you can only think about angry and furious, how do you think/talk it out that what happened is aggravating and not worth getting in more trouble over? Of course, in reality it is not this simple, but the language for emotions does play a role in the big picture. Students on the spectrum may not even realize that non-verbal communication exists. They often have poor eye contact, so they spend less time looking at facial expressions to begin with. Between interpreting the language they understand very literally, and misunderstanding the facial expressions, gestures and body language people use to communicate, it is not surprising that many students would rather live in their comfortable space with their preferred topics. So much of what goes on around them is so confusing! Despite the impacts of these deficits displaying themselves in different ways in these populations, the materials that I use for building vocabulary for emotions are the same. The differentiation occurs in choosing the the materials and vocabulary level based on the cognitive skills/maturity of the students, and then in how the vocabulary is elicited in application activities afterward. A game to help young children understand the eye gaze is an important communication tool. Hover over the faces to see them change from neutral to the named emotion. Explore online how changing the eyes and the mouth on faces makes different emotions. Match the exact same faces in a robot game. Choose girl/boy/man/woman and then find the face in a field of three that matches the named emotion. 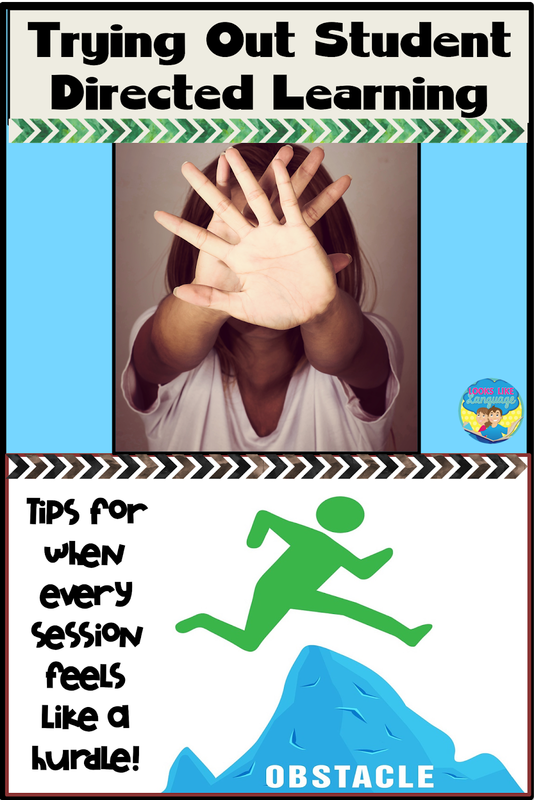 This article, written by a parent, offers some free downloads as well as activity ideas. Dominoes and other printables with the same graphics. 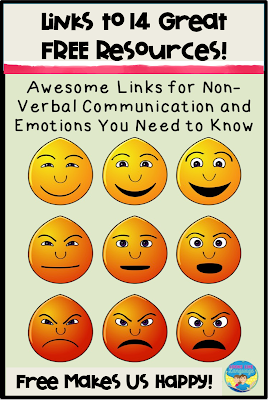 Printable materials for emotion vocabulary using clip art geared toward older kids. 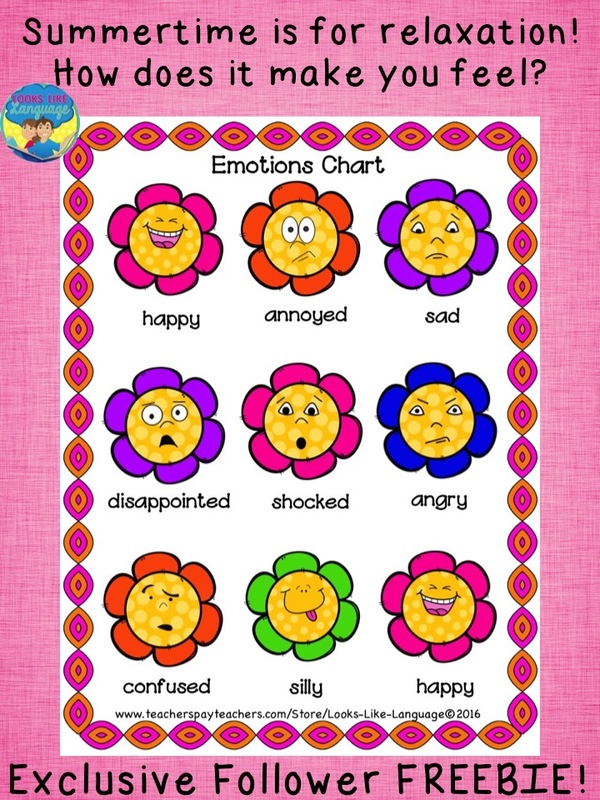 These resources are great for teaching nuances of emotions, how we can feel combinations of emotions, and that they vary in intensity. 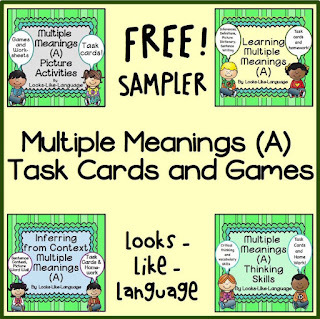 Find more free resources on this site! 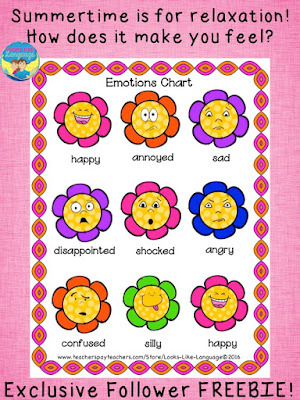 Pictured faces and emotions, as well as scenarios for each, which can be used with games or as stand alone activities. Given a scenario, make a comic strip. Discuss the emotion that the characters could be feeling and do some problem solving! Speech bubbles give practice in formulating language for conflict resolution. This site is another great one for creating comics. Let our students decide on the problem, chose the appropriate character to show the emotion, and use their vocabulary in the speech bubble dialogues. Are you looking for some ready made, easy to implement materials that will help you with your mixed groups? Click here! I hope you are enjoying this summer series on helpful links and tips! You can see the first post in this series here. If I missed any great resources, I’d love it if you would share your faves in the comments! How do you spend your summer? WH Questions for SLPs! Happy summer, friends! I made a flower emotion freebie (a newsletter exclusive!) that I planned for spring, but life has gotten a bit crazy for me personally this spring. I’m sure you can relate to that! Luckily, a flower theme can be used all summer, too, so I am including the link to it in this week's newsletter! Enjoy! Do you work in the summer? 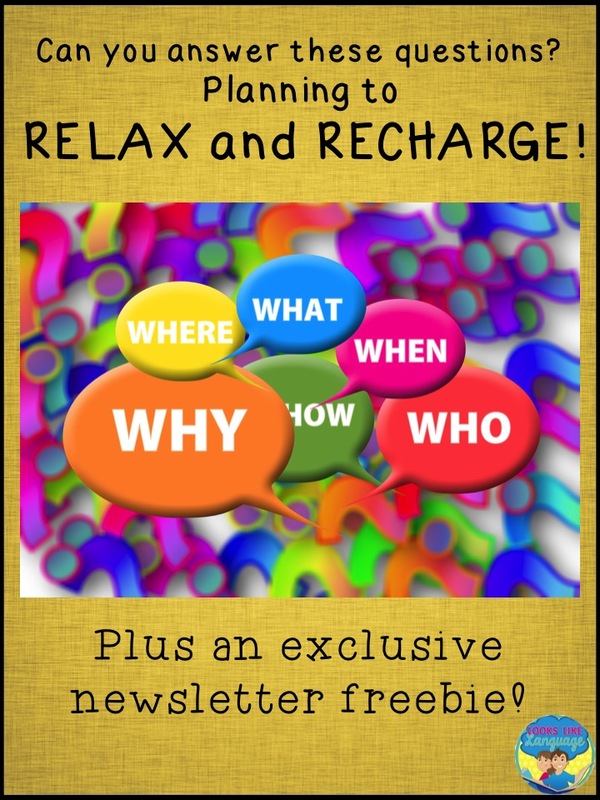 Even if you do, can you find ways to help you relax and recharge? Let’s give ourselves that WH question list! WHO? I always had off in the summer to spend more time with my children, but even now that they are grown, I love having the extra time to do some things for me that I haven’t been able to do while raising my family. WHAT? I’m more conscientious than usual about exercising as I get my bike out to ride every morning. WHEN? In the summer, I also spend time preparing for the next school year. Some years I am re-organizing my materials so that I can find them quickly in the fall. It can be overwhelming getting started with a new caseload and new IEP goals in the fall. I’ve found that being able to get to needed materials quickly plays a big role in how organized (or not!) I feel at the beginning of a school year. Other years I am taking professional classes to meet my CEU requirements. This year, I think I will be doing a bit of both. WHERE? At my house, I love to be able to relax, read and sew. I also use the time to catch up on household chores, like painting and cleaning out closets. When we get away, I love to be able to go to the mountains and enjoy the beauty, peace and quiet. WHY? It is so important to find time to relax and recharge! We have different hobbies and preferences, but we all know how much energy it takes to work with kids! HOW? I have to admit that I spend time on my store, too- updating products and getting new ones made. But that is okay! I love that materials that I have created and used successfully with my own students are helping other students all over. When I get feedback that says something I made was helpful, I feel all warm inside and am very happy that I am able to help! Summertime should be a time for relaxation and recharging! To find out what my blogging friends at Speech Spotlight do in the summer, click here. 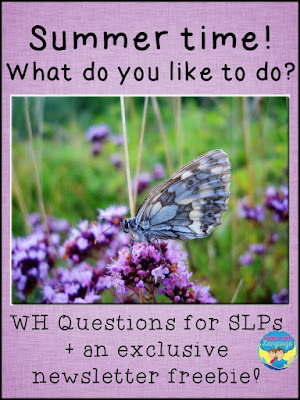 What do you think of when you ask yourself the WH questions? I hope you have fun, whatever your answers are! 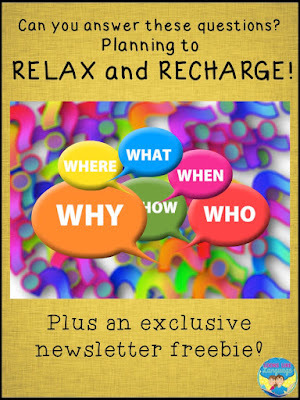 Are you interested in more helpful therapy tips and freebies? 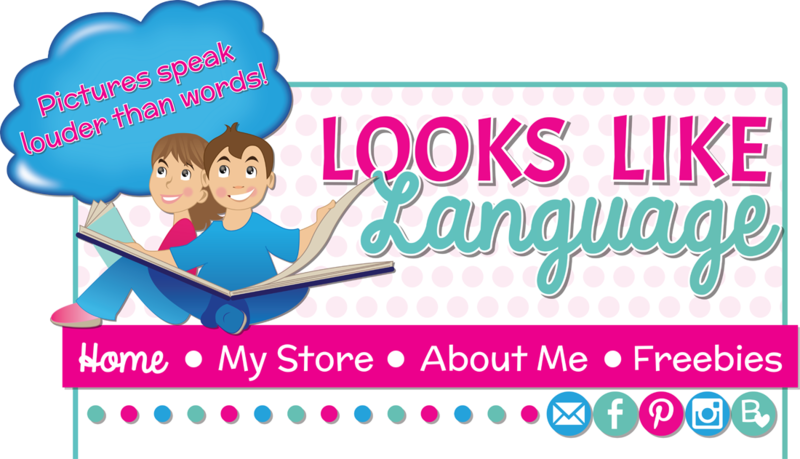 Subscribe to the weekly newsletter or visit on Pinterest, Facebook and Instagram: @lookslikelanguage.